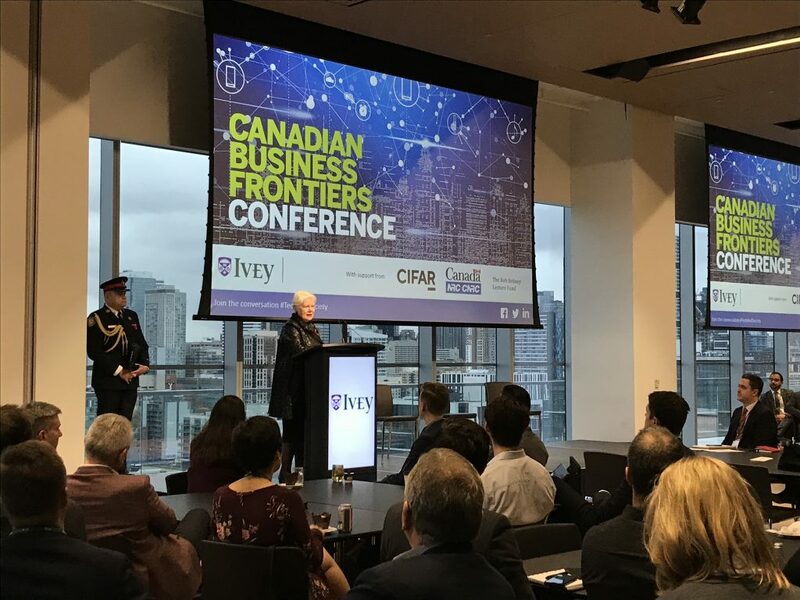 The Lieutenant Governor offered opening remarks at the Canada Business Frontiers Conference in Toronto. The Canadian Business Frontiers Conference was a one-day conference exploring disruptions (social, technological), and their implications, positive and negative, in how we continue to do business and prepare future leaders to engage in business. The conference is hosted by the Ivey Business School. Her Honour was honorary patron of the Conference.